WHAT ARE CONTROLLING VARIABLES (or CONSTANTS)? The controlling variables (or constants) are those variables that a scientist needs to keep the same­­–or constant­­–while the experiment is happening to ensure a fair test. Like the responding variable, the controlling variables must also be attentively observed–and usually measured­­–during the experiment. Here’s the Introduction section of the Blackawton Bees Experiment, which was designed, performed, and written by 10-year-old science students in England. However, you will NOT find explicit mention of the controlling variables (or constants) in the Introduction. This is because in this scientific paper, the discussion of the controlling variable doesn’t appear until the next section of the paper, the Methods section. (a) Once upon a time . . .
People think that humans are the smartest of animals, and most people do not think about other animals as being smart, or at least think that they are not as smart as humans. Knowing that other animals are as smart as us means we can appreciate them more, which could also help us to help them. Scientists do experiments on monkeys, because they are similar to man, but bees could actually be close to man too. We see bees in the natural habitat doing what they do, but you do not really see them doing human things—such as solving human puzzles like Sudoku. So it makes you wonder if they could solve a human puzzle. 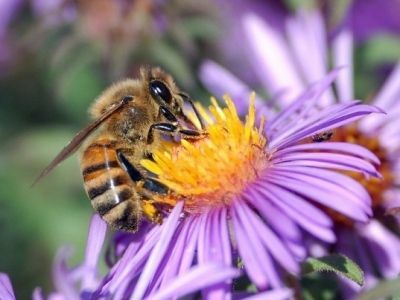 If they could solve it, it would mean that they are really smart, smarter than we thought before, which would mean that humans might have some link with bees. If bees are like us in some way, then understanding them could help us understand ourselves better. To get ready to do the experiments with the bees we first talked about science being about playing games and making puzzles. We then got into groups and made up games to play using random pieces of physical education equipment. This gave us experience of thinking of games and puzzles. We then had to explain our games to other people. After talking about what it is like to create games and how games have rules, we talked about seeing the world in different ways by wearing bug eyes, mirrors and rolled-up books. We then watched the David Letterman videos of ‘Stupid Dog Tricks’, in which dogs were trained to do funny things. Next, we too had to learn to solve a puzzle that Beau (a neuroscientist) and Mr Strudwick (our headteacher) gave us (which took an artificial brain 10,000 trials to solve, but only four for us). Afterwards, we started asking questions about bees, and then more specific questions about seeing colour using the bee arena (figure 1). We came up with lots of questions, but the one we decided to look at was whether bees could learn to remember the flowers that were around it, which is like a puzzle. To test this we gave the bees a series of challenges to see if they could complete them or not, and then tested them to see if they solved the puzzle and how they solved it. It was a difficult puzzle, because the bees could not just learn to go to the colour of the flower. Instead, they had to learn to go to one colour (blue) if it was surrounded by the opposite colour (yellow), but also to go to the opposite colour (yellow) if it was surrounded by blue. We also wanted to know if all the bees solved the puzzle in the same way. If not, it would mean that bees have personality (if a bee goes to the blue flower every time, it tells us that it really likes blue).